The reason why many people prefer to go with composite decking is because they are resilient, low-maintenance and authentic in appearance. In other words, the deck will most likely outlive the owner. It’s important to decide what you want before embarking on the task. There’s a vast array of designs available, and basic ones can be found on the web. You could also look for inspiration in the local magazines. This is also a good time to gather all the decking supplies you’ll need for the task at hand. 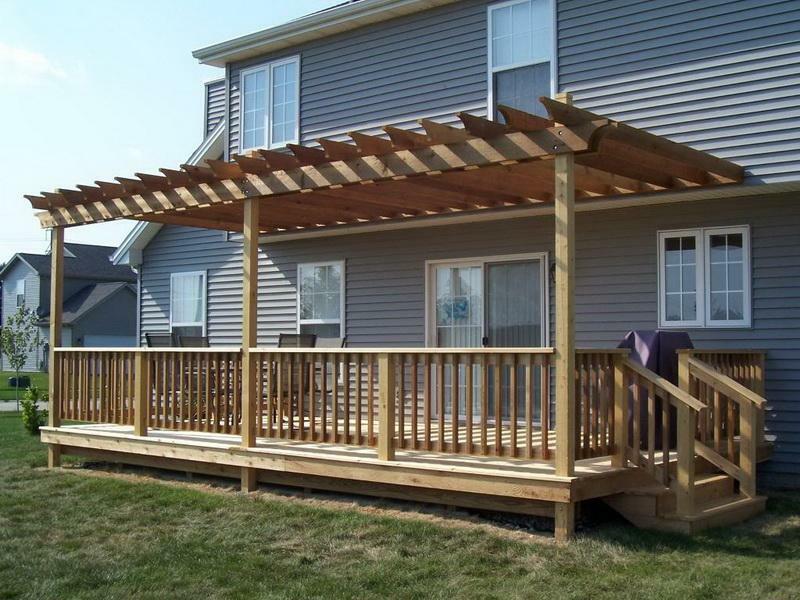 Take into consideration the average cost per square foot to build a deck. This step involves marking out the site using pegs and checking the diagonals for the site you want to work on. You can use a shovel to get rid of grass and top soil, up to a depth of 75mm deep. Break into the hardened area using a mattock. If you’re not sure, take the measurements to any home improvement store near you for accurate measurements. The benefit of doing this is to ensure that the measurements are taken by a professional. They’ll assist you, cut the right amount of lumber and make sure that it is cut into the right size for your project to take off immediately. Most decks use pressure-treated wood on the visible parts, such as the decking itself, the benches and structural parts. However, many decks which utilize pressure-treated wood lose their luster after a certain period of time. The wood either splits or turns into an ugly grey, which might not look good after some time. This should not worry you because a little care here and there can go a long way into making sure that your building deck looks great at all times.